Who cares bout the Big Game when there’s a bunch of dope stuff on TV like the “Friends” and “Walking Dead” marathons? If you're one of the few .00001 percent who won't be watching the Super Bowl LI or all the pageant-like lead-up to it on Sunday afternoon with the rest of the ENTIRE world, don't feel too bad ... we've got you covered with other dope programs to watch. All times are Pacific. Puppy Bowl XIIIWhat's better than not watching the Super Bowl? Watching the 8th annual Puppy Bowl. 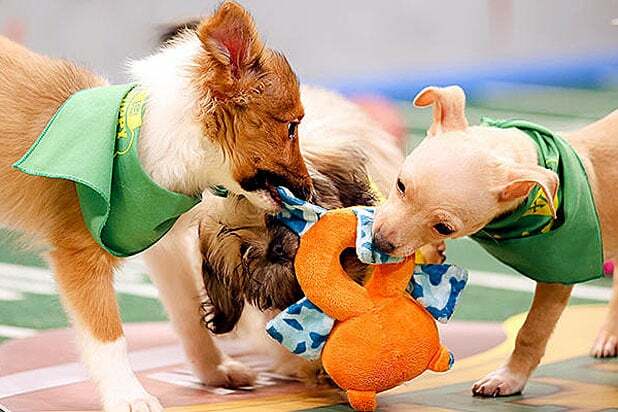 It's pretty much the same thing as American football, except with puppies so it's like 10 times better. Tune in on Animal Planet. Kitten Bowl IVWhy on Earth anyone would want to watch kittens over puppies is beyond our scope of belief, but hey we're not here to judge. The 4th annual Kitten Bowl will be on Hallmark at 3 p.m.
"The Walking Dead"Would rather die than watch the Super Bowl? Well, you can channel those morbid feelings into watching AMC's "Walking Dead" marathon. "Mystery Science Theater 3000"Sci-Fi fans, this is your lucky day, because while millions (or maybe the entire world) is watching the Super Bowl, Comet TV will be showing a marathon o Mystery Science Theater 3000. "Les Miserables"Feeling miserable about watching American football all day (Ha, see what we did there? No? OK ...)? Anyways, the FOX movie channel will be showing "Les Miserables" at 2:30 p.m.
"Friends"Who cares about the Super Bowl when an entire marathon of "Friends" is on? 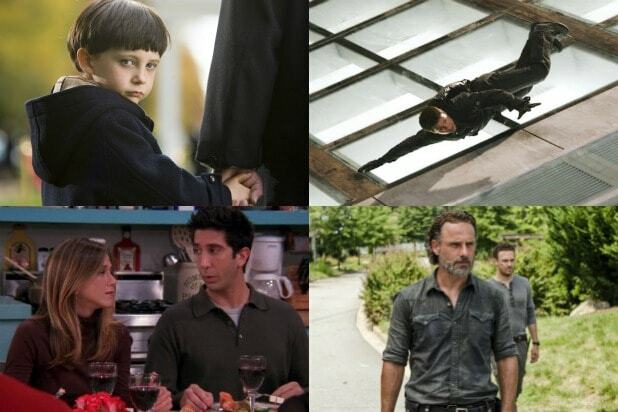 TBS got you with all of Season 10's (the best season in our opinion) episodes. "The Omen" and "Silent Hill"If your Sunday is being ruined by all the happy-go-lucky football fans screaming outside your window, tune in to IFC for some scary movies like "The Omen" at 4 p.m. and "Silent Hill." At least then, the screaming will be added special effects for your viewing pleasure. "Madea Goes To Jail"TNT will be showing "Tyler Perry's Madea Goes to Jail" at 6 p.m. because that movie is more hilarious than any Super Bowl commercial you might be missing. "The Fault in Our Stars"Because Sundays are meant for balling your eyes out and not for football. "The Fault in Our Stars" will be showing on FXX at 5 p.m. Word of advice: Keep a box of tissues handy. "The Real Housewives of Atlanta"The Super Bowl can be a little too tame at times so if you're looking for a little more drama and what not, look no further because the "Real Housewives of Atlanta" will be on Bravo starting at 3 p.m. and will be on for a few hours. "Harry Potter"Do we really need to say more? It's Harry bloody Potter. Freeform will be showing "Harry Potter and the Half Blood Prince" and Harry Potter and the Deathly Hallows, Part I" starting at 1:50 p.m.
"Love Actually"Who wants to watch a bunch of men running around a giant field chasing after a ball when you can watch a bunch of men running around London chasing after women? Showtime will be showing "Love Actually" at 1:30 p.m.
"Golden Girls"Yup. You read that right. What Super Bowl? The "Golden Girls" are on for a million hour marathon! OK, not really but TV Land will be showing the series from 7:48 a.m. until 4 p.m.
"Mission Impossible III"Frankly we can't think of a better way to channel your hatred of the Super Bowl than by watching a few hours of Tom Cruise cheat death a couple times. "Casablanca"Nothing is more iconic than "Casablanca," not even the Super Bowl. Sorry, but not sorry. TCM will be showing the legendary movie at 5 p.m.
"Naked Gun"This must be our lucky Sunday because all three Naked Gun movies are showing on the Sundance Channel starting at 11 a.m.
"Parks and Recreation"YASSSSS!!! Esquire is giving us the holy grail by showing a "Parks and Recreation" marathon starting at 3 p.m. To Esquire be the glory! "South Park"Nothing to get you through Super Bowl Sunday than a bunch of South Park's baddest kids. Comedy Central will be showing a marathon of "South Park" at 4:40 p.m.
"Parent Trap"Let's take back it to the good old days when we all secretly though Lindsay Lohan had a real life twin. E! will be showing our favorite childhood movie remake at 3 p.m.